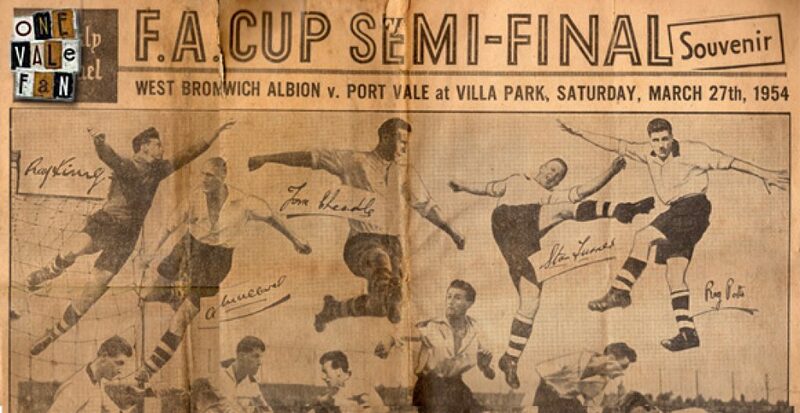 To conclude our look at the Sentinel special marking the club’s FA Cup semi-final appearance in 1954, here is a Photoshopped copy of the front cover. Note: as the newspaper is so large (broadsheet) we were unable to scan it in one piece. This represents our best efforts to take multiple images of it and “stitch” it together. 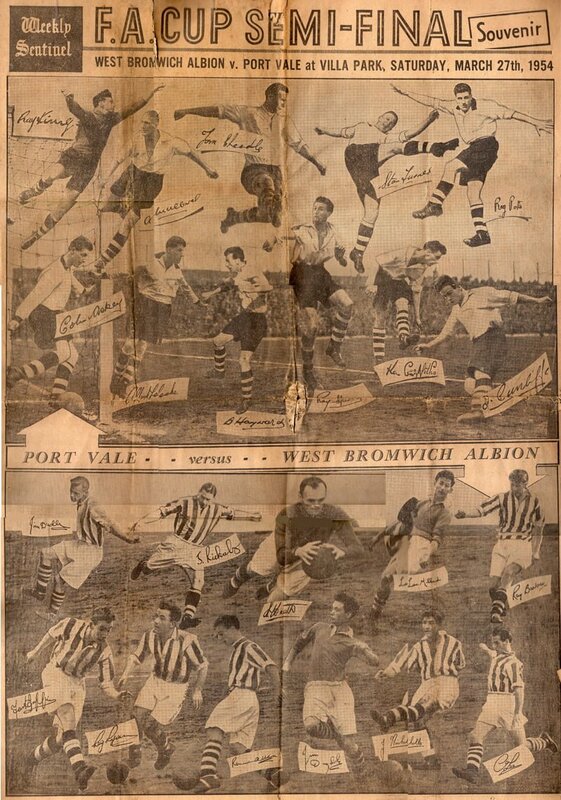 However, you will notice differences in colour (especially in the West Brom players photograph) and slight alignment mis-matches as it was impossible to scan each piece in the same light and at the same angle.